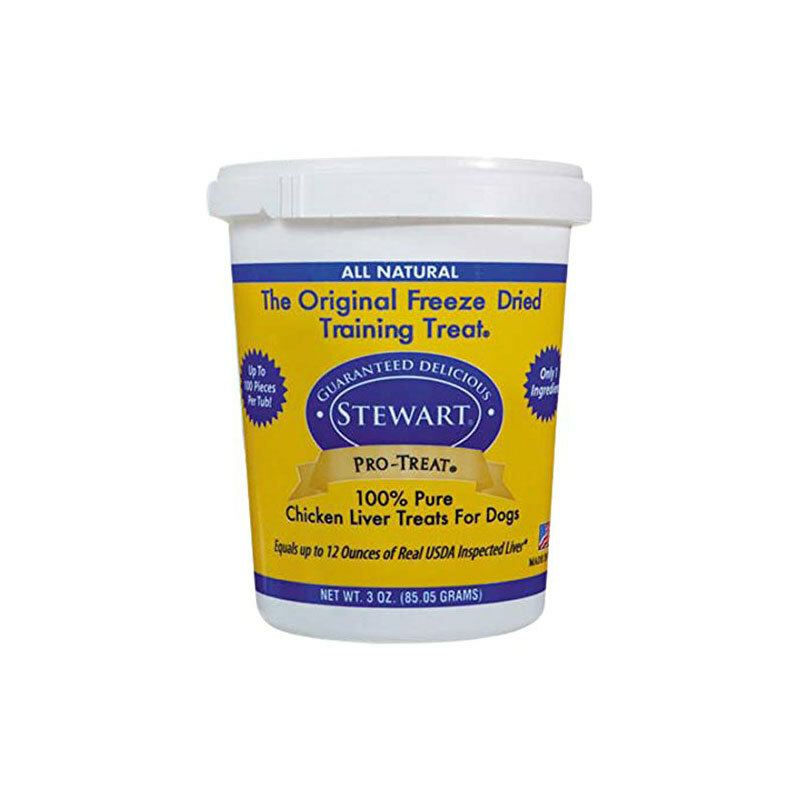 Miracle Corp Stewart Pro-Treat Freeze Dried Chicken Liver 3 oz. Fresh, conveniently freeze dried and diced into reward size treats, Pro-Treat is an excellent reward and training tool. All natural Pro-Treat has been the preferred choice of trainers for over 40 years due to its convenience and palatability. Our treats contain only one ingredient and are perfect for dogs with allergies or those who are on limited ingredient diets. 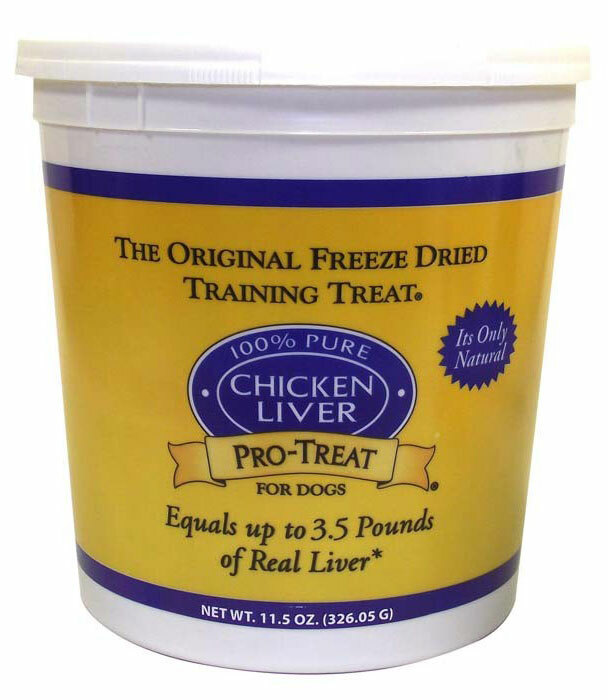 Pro-Treat Freeze Dried Liver is produced and packaged in the USA without additives or preservatives under USDA inspection. Always have a bowl of fresh water available to your dog at all times. 6" x 3.5" x 3.5"